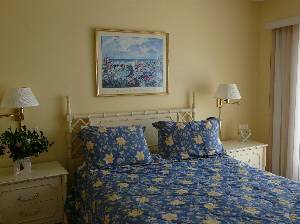 Located off 94th Street our townhouse offers magnificent views of Assawomen Bay and the Isle of Wright. 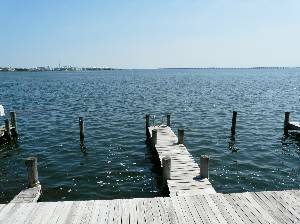 Bring your boat and dock on our private pier. Or simply relax, fish and crab to your heart's delight. 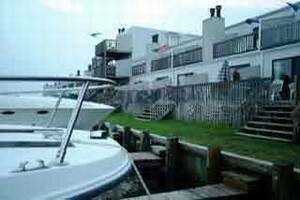 Now for the best part ... Rusty Anchor East is private enough to feel secluded, but accessible enough to enjoy the restaurants, activities, and nightlife of Ocean City. This is a great family rental. Nearby is a children's playground and public tennis and basket ball courts. it was a very nice setting, unfortunately we had the week after it was rented to senior high kids and they destroyed the place. Mr. Fleming was very sympathetic and agreed to discount our rental fee, only to have him reneg on the agreement a few weeks later. The agreement was that we put the discount he was giving us towards next years rental and he said that was a win/win for both of us. instead of going after the group before us to pay for the damages they caused, he chose to penalize us, since he would loose money. don't trust anything from him. was really looking forward to going back, but not in a million years would i deal with him again. 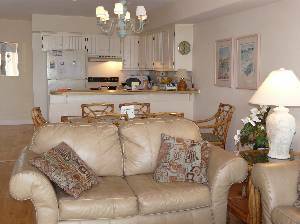 there are many other places in OC that we will rent from. Thank you so much for letting us use your lovely home. We thoroughly enjoyed our vacation and wish it didn't have to end so soon! A week was not enough! We look forward to coming next year: maybe twice. 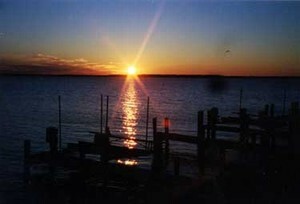 We all enjoyed our stay in your peaceful home.Everyone in Ocean City was warm and helpful. We especially liked crabbing from your dock. The crabs we caught we cooked in spicy tomatoe sauce with rice. Yummy! Thank so much for your hospitality. This might just be the best week I've ever spent in Ocean City, definitely the best accommodations. The view is spectacular, both in the morning and in the evening. Thanks for the availability and comforts. I am already excited about returning next summer. Thank you for this wonderful week. We used the condo to spend our first week as husband and wife. and we were saddened when it had to come to an end. The weather was great and weenjoyed many activities such as renting jet ski's at Action Water Sports on 52nd st. and days at the OC and Rehobeth boardwalk. Our most favorite place is the pool bar at the Holiday Inn! The view is great and we hope to one day return. Thank you for letting us stay at your cozy place once again. We enjoyed the view so much that we stayed in the whole day! We didn't miss NY at all. Our visit back is guaranteed. We spent our vacation at your home two years in a row and we had the best time. The location of the townhome itself is very convenient to everything you need and far enough away from the boardwalk to avoid all the crazy traffic! It was clean, quiet and lovely both times and one of the best parts of our vacation was eating and relaxing on the deck (sometimes all night long), especially to watch that wonderful sunset. We hope to return soon!! Thank you so much for allowing my family to stay at your condo. We truly loved it. Even though it rained some we all had a good time. We hope to come back and stay again. I will e-mail you to see what dates you have left in August. May God continue to Bless you and your family. Thank you so much for renting your townhouse to us. It is so peaceful and relaxing! My family especially enjoyed our "game nights" after a day at the beach! This was our first visit to Ocean City but hopefully not our last. Thanks for making it such a success. 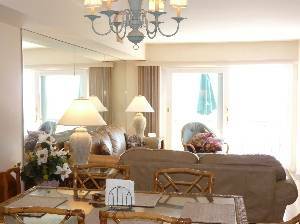 We just returned from a wonderful week in OC and wanted to comment on how nice the condo was. We had other family in town, and our place was definitely where we all congregated at night. The condo has everything that you might want or need, and the views were spectacular! When we wanted to hit the boardwalk, we drove up to 27th street and took the train up, which was really nice. We will be in touch again next summer, I'm sure! Very comfortable, clean, and spacious accommodations! Wonderful view, and great pier for fishing. Had a terrific weekend and hope to return again next year! Thank you very much for a wonderful place to vacation. Our friends were very impressed! Hope to vacation again next year. PS If you ever want to sell your beach house let us know! Thanks so much for making this place so beautiful. Not only is the view spectacular, the place itself is very comfortable. The sisters had a great time! 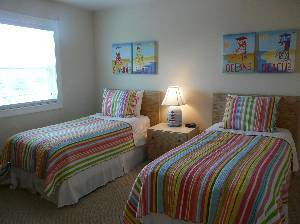 Partial weeks and weekend rentals are available before Memorial Day. Holiday weekends require a 3 night minimum. Deposit: A 50% deposit is required within ten dates from the date the contract is issued. The balance is due 45 days prior to arrival. Cancellations and Refunds: If the unit is not re-rented the entire deposit is forfeited. If the unit is re-rented all monies less 20% will be returned. 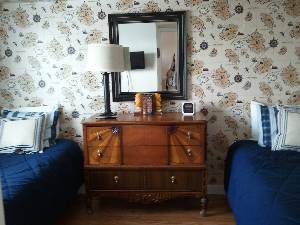 Other Fees: For first time renters a $200 security deposit is required. Required Stay: Sunday through Sunday.